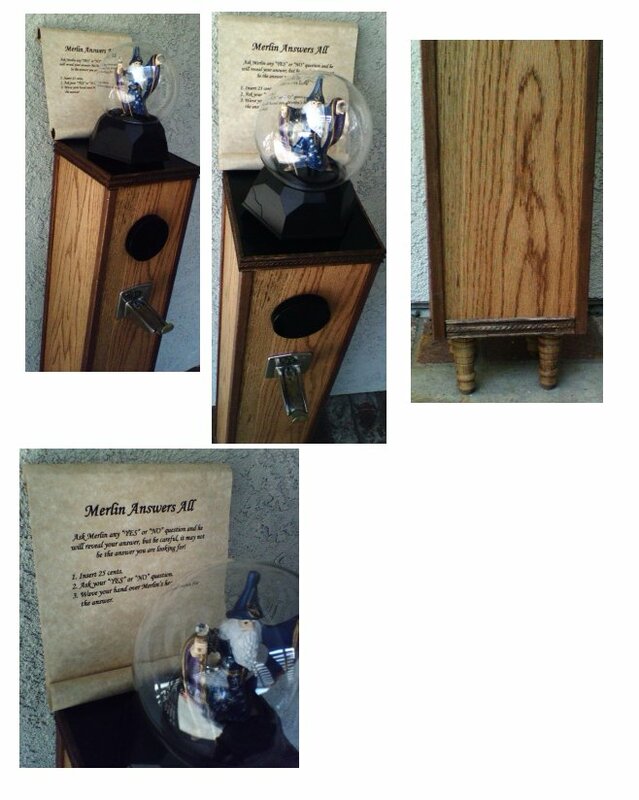 A 25c (Quarter) fortune teller featuring a crystal ball with Merlin the Wizard inside. Insert your coin and ask Merlin a yes/no question and wave your hand over the crystal. Merlin will respond with your fortune, but beware, the answer you receive may not be the answer you wish for. Oak cabinet with stained and varnished finish. Coin door in the back with lock and key. Operates on 110vac power. These are hand made so please allow 3-4 weeks for manufacturing and delivery.